When you travel it’s important to be active. The good food, sitting on planes can catch up to you if you’re not mindful. When I travel I always take hand weights, a jump rope & fitness clothing / shoes with me. 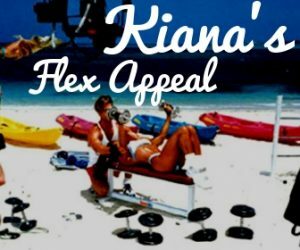 As the Creator of Kiana’s Flex Appeal the #1 rated fitness show on ESPN, I have led thousands of televised workouts that have taught millions to get in shape and stay in shape. I wrote an article “Workout on the Road” for Men’s Fitness Magazine, showing readers how to stay fit while traveling. Follow me on social media for Fit Tips & Tricks!